I am trying to use your manual import for a form I just created on form central and I cannot import it. I received email from jot form that it was imported but it's not in my forms and the url in the email I receive says the owner took the form down, but I didn't. to open the Import Tool page. After downloading the tool, you can just run it as stand-alone. It will require your formscentral login account to do the Import process. That's what is was using. It does not work. Please provide me with a solution that works. I need to go live with this form on jotforms tomorrow and do not have the time to recreate it. Upon checking your account, I see that you have around 200 forms in your account. Are you missing some? I also see that my manager have replied to your other thread here: http://www.jotform.com/answers/583695. You can follow the guide she mentioned, either method 1 or method 2.
i know what i am doing. I imported most of my documents about 2 weeks ago, without issue as i have mentioned. anything i have tried to import the last few days has not come through or has not come through with the responses, if applicable. Your are not being helpful. The importer was updated on june 1 AND DOES NOT WORK. I get messages that my form has been imported with the link but it is has not been. Now please address the issue. I need to go live with one of the forms tomorrow and i can't if i can't migrate it over. The adobe URL is https://adobeformscentral.com/?f=WsKui73LXUDlgfyq0arO0A. This form has not responses. Please see if you can migrate it to jot form please. Apologies for the inconvenience that you are having. I'm checking your account right now and I see that forms are currently being imported. 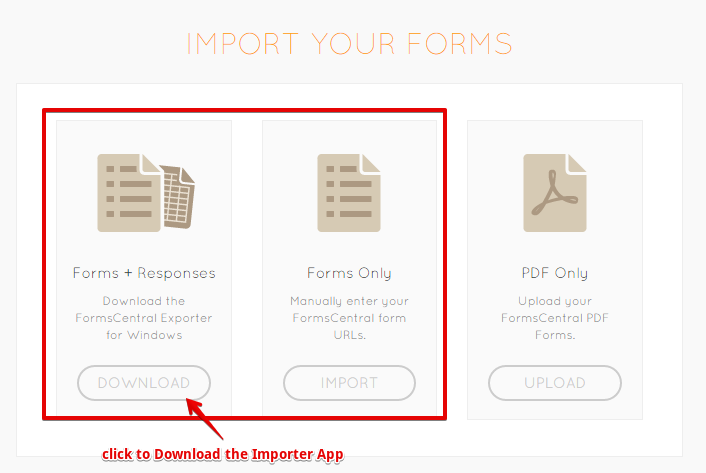 If you have imported a number of forms with responses, it might take some time to import all of them. I see that the form https://adobeformscentral.com/?f=WsKui73LXUDlgfyq0arO0A has now been imported, it is in your JotForm account with Form URL http://form.jotformpro.com/form/51581389373969. I see the responses have not yet been imported, it's possible that they are still in queue. I also see that my colleague has already escalated this to our back end team. I'll add this additional information in the ticket and notify them about the urgency. 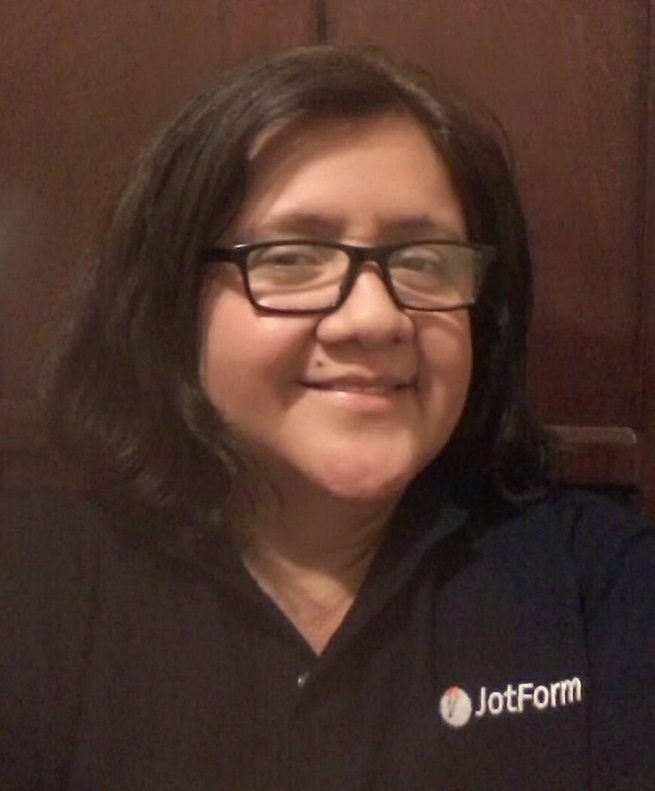 If you need the responses to be imported immediately, you can do a manual importation by following method 2 in this guide: http://www.jotform.com/help/309-How-to-Migrate-Form-Data-from-Adobe-FormsCentral-to-JotForm. Thanks for your help. At first glance this form looks okay, but the formatting did not transfer over and I do not know how to code in html. Further it's virtually impossible to see all the info in that little box to edit. I need a bulleted list for most of the information at the beginning of the form. Please help me with this so we can go live today as planned. The format should look more like the original adobe form found at: https://adobeformscentral.com/?f=WsKui73LXUDlgfyq0arO0A with the bulleted text indented appropriately. To better assist you, I've opened a separate thread so that we can discuss more the topic related to your current form's formatting. Please refer to this link regarding that concern: http://www.jotform.com/answers/584141. We will address it shortly. We were informed by our developers that the issue should be now fixed. If you already installed the app, please try to re-start the import process. Let us know if the problems continue in your end.